Thanks to the glass storage jar by Bloomingville, order is stylishly created. The set consists of two storage jars of different sizes each with a removable lid made of metal. 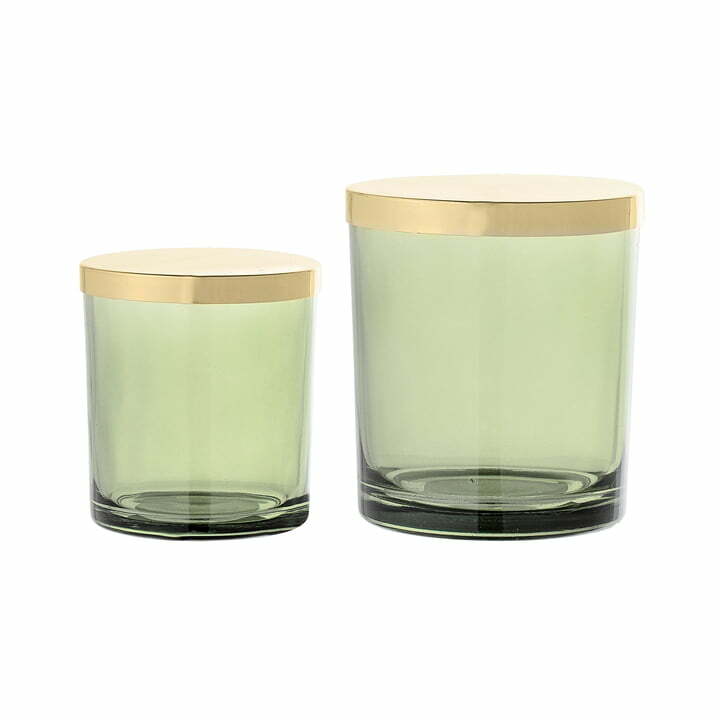 The combination of the slightly transparent, dark green glass and the gold-coloured lid looks particularly elegant and adds a touch of colour to the space. Used in the bathroom for cotton pads, or on the bedside table to store jewellery - the containers fit into any interior. Frontal image of the Bloomingville Aufbewahrsglas with lid(set of 2) in the colour green / gold. Thanks to the glass storage jar by Bloomingville, order is stylishly created. 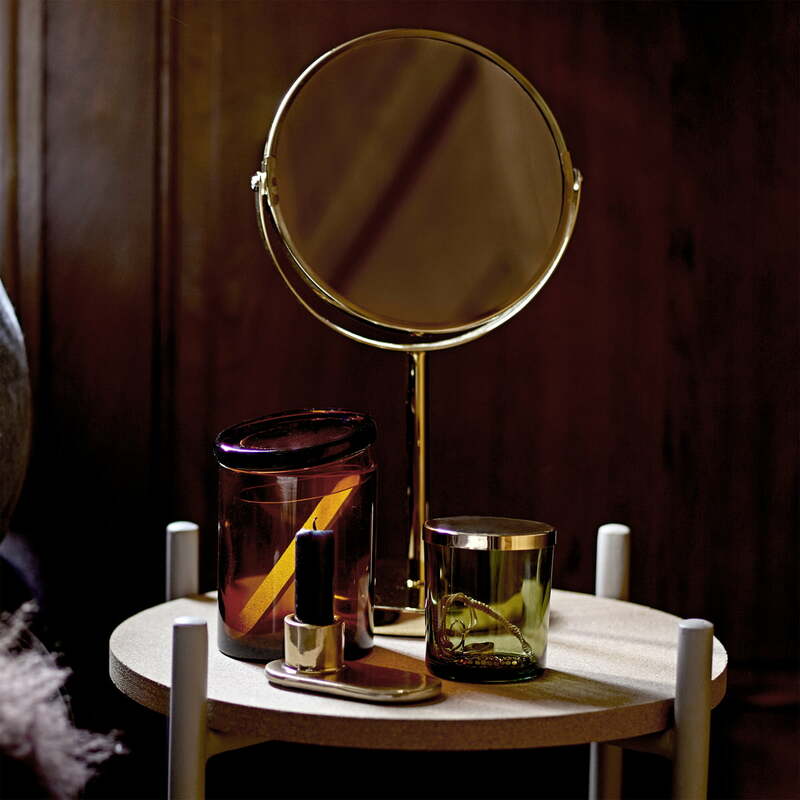 Lifestyle product image of the glass storage jar with lid by Bloomingville: Used in the bathroom for cotton pads, or on the bedside table to store jewellery - the containers fit into any interior.